"It is he! 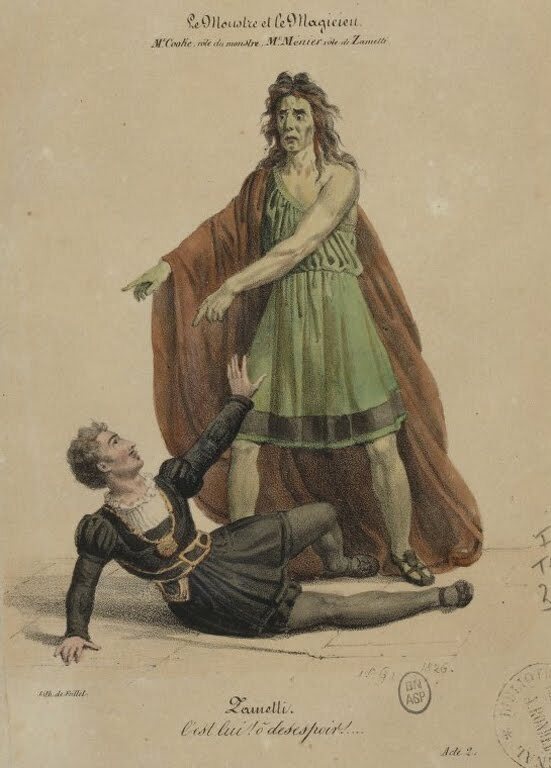 Oh, despair!” exclaims Zametti, the Frankenstein character, in another color lithograph from Le Monstre et le magicien, staged at Paris’ Porte Saint-Martin theater in June 1826. 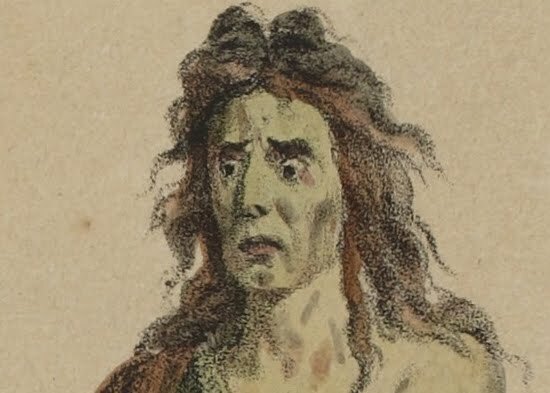 Zametti, played by Ménier, is an alchemist who, in the end, perishes at sea at The Monster’s hands. The part is often attributed — erroneously — to Paulin Ménier, Ménier’s son, born 1822, who would become an actor of considerable repute. Likewise, the illustration above is by Feillet, a prominent lithographer and teacher whose work is often confused with that of his daughter, Hélène, herself a prolific artist. 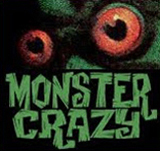 In a closeup look at Feillet’s illustration, T.P.Cooke’s Monster shows a darker green color to the face down to the jawline and streaks of red greasepaint at the mouth and eyes. The Théâtre de la Porte Saint-Martin, still operating today, is one of the most storied theaters in the world. Taking its name from the nearby triumphal arch, the original building was commissioned as an opera house by Queen Marie Antoinette in 1781. Incredibly, the building was erected in only two months — from the first stone laid on August 26 to its inauguration on October 26 — benefiting from money-is-no-object royal support. Twelve years on, a new Opera went up and the Porte Saint-Martin was transformed into a playhouse. The original building was destroyed by fire in the violent Spring of the Paris Commune in 1871. It was rebuilt and reopened as an 1100 seat theater in 1873. In years to come, authors such as Alexandre Dumas and Victor Hugo presented their plays here, drawing in the most famous and accomplished actors and directors of the Continent. Edmond Rostand premiered his Cyrano de Bergerac in 1897, and Roman Polanski directed Master Class a hundred years later. 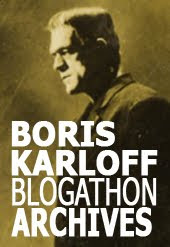 Sarah Bernhardt appeared as Theodora in 1882, and Marcel Marceau triumphed in the Sixties. Today, la Porte Saint-Martin continues to boldly mix the classics and experimental theater, the two extremes coming together in the current offering, a contemporary version of Shakespeare’s A Midsummer Night’s Dream. 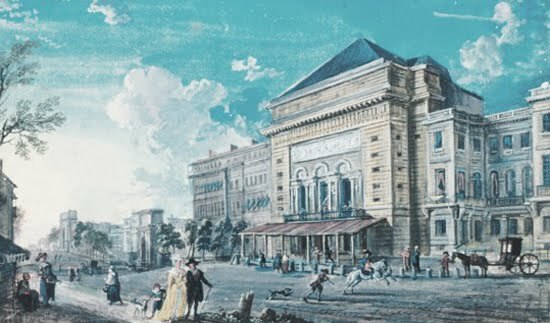 Le Monstre et le magicien of 1826 was an early hit at the original Porte Saint-Martin, by far the most popular and lucrative play of its season, running 80 sold-out nights to often boisterous crowds. More images from Le Monstre et le magicien coming up this week!